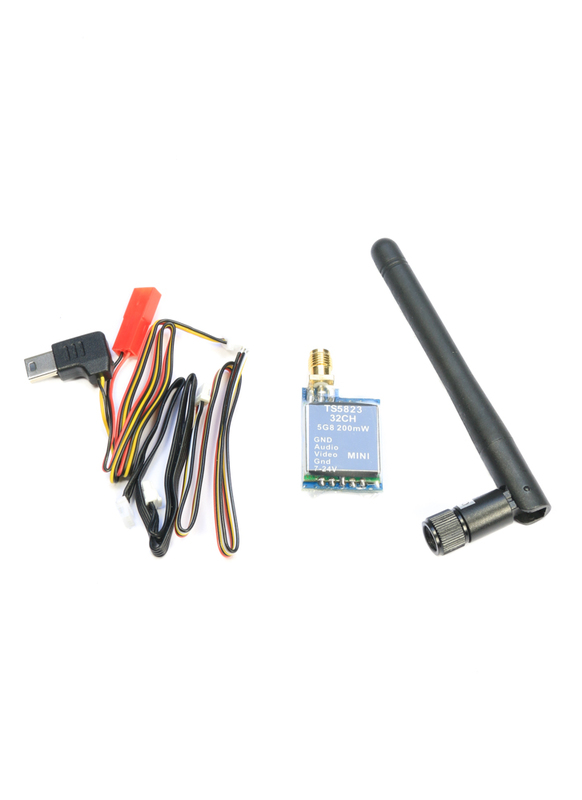 The Skyzone TS5823 is a fantastic little FPV transmitter (Tx). 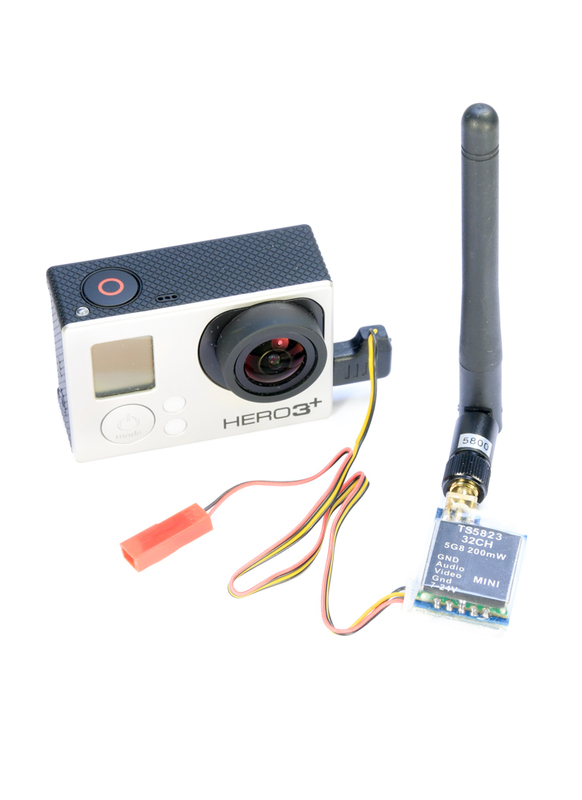 It's tiny and weighs practically nothing making it ideal for FPV mini quads. In fact the popular Gravity racing drone frames by Fossil Stuff have been designed to incorporate this very transmitter. The TX boasts a 200mW output, giving a range of 400m LOS with no obstacles, but this can be extended to 1km+ by using a combination of circular polarised and helical antennas. 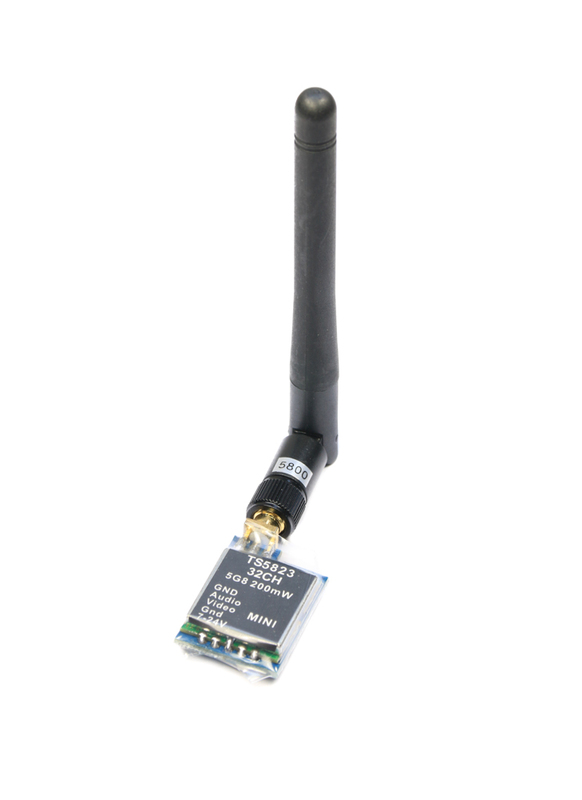 It supports 32 channels (now shipping 40CH version), across 4 different bands which covers the channels used in equipment from Fatshark, ImmersionRC, Skyzone, and Boscam. The TS5823 comes with a 2 dBi dipole (Rubber Duck) antenna and even a GoPro compatible video cable for plug and play compatibility. You can power it straight from your flight battery without the need for a UBEC as it supports a wide input voltage (7-24V). 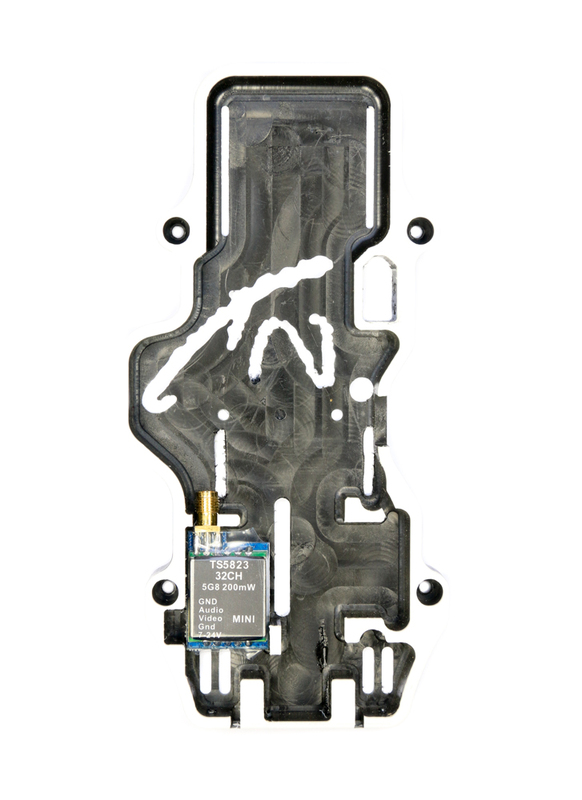 This is the V2 release of the TS5823 that has had the previous known issues with lines in the display resolved. 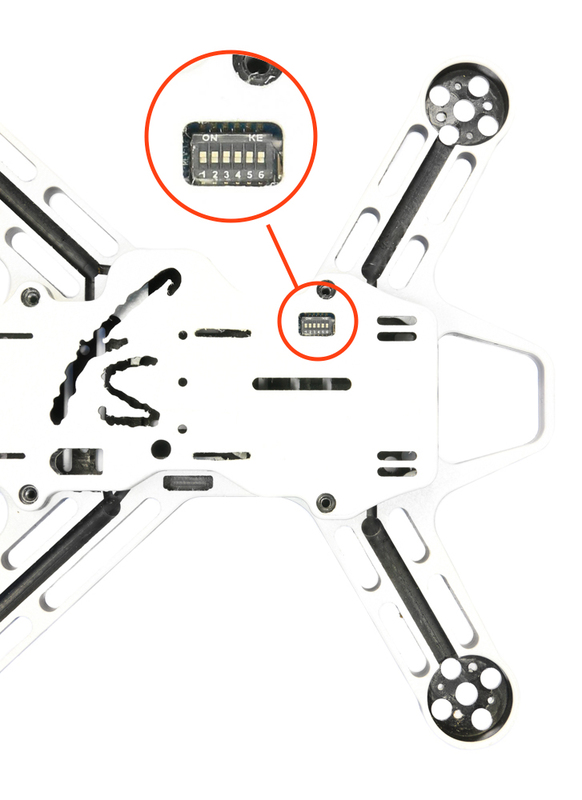 The TS5823 is the recommended VTX for the Gravity 250 / 280 frames by Fossil Stuff. Hi, unfortuntely I don't sell the cable on it's own. I may be able to get the cable, if I can, I'll update this comment. If you have the other cable which comes with the Tx, you could solder a regular GoPro AV cable to it, to do the same thing.